Adventure and discovery meets luxury and style. Not concepts that ordinarily go hand in hand but Land Rover have found the formula to blend the two seamlessly. Whether you beat a track around the city or tread the path of adventure, your Land Rover needs the attention that such a precise machine demands. Superior Automotive are well across your Land Rover’s needs with the latest in diagnostic equipment and your choice of genuine or quality aftermarket parts at the ready. 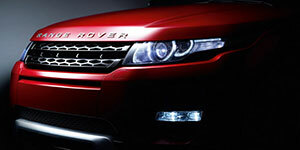 Entrust our Land Rover experts with your pride and joy today and experience what we can offer you.